Comment Illustrated in Brown #48. 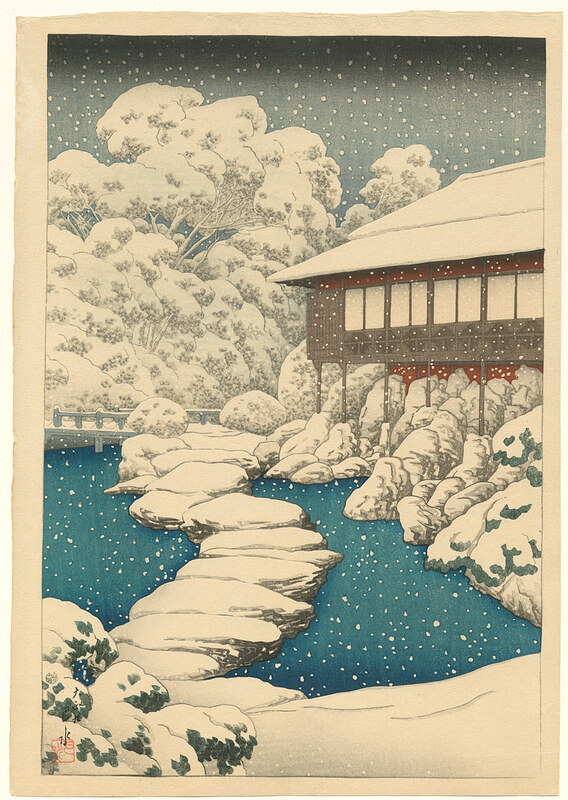 One of a set of 8 prints commissioned by the Mitsubishi company illustrating the Iwasaki family's Kiyosumi detached villa and garden at Fukagawa in Eastern Tokyo. The prints were used as gifts for the company's foreign and domestic clients.